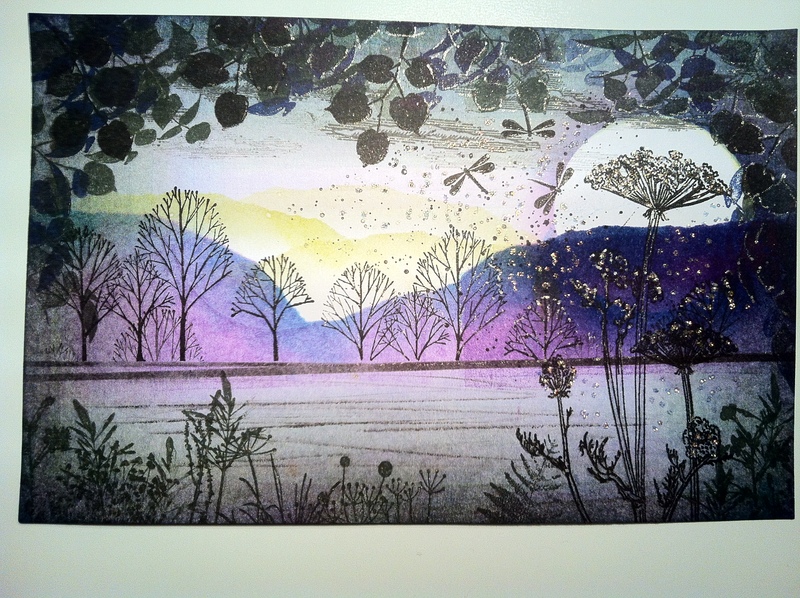 If you have already seen my post on 20 February 2012 you will know what a wonderful picture you can create with some dye ink, a brayer and some rubber stamps. 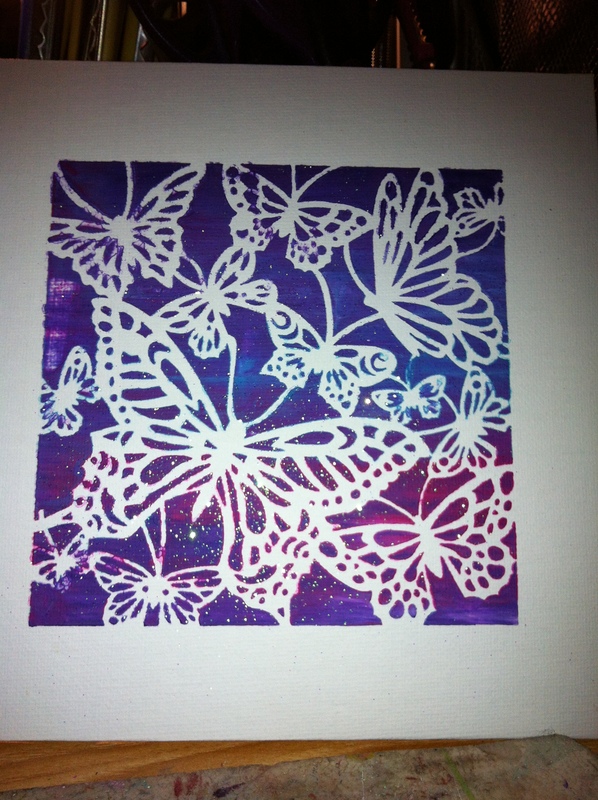 By using different coloured inks and stamps you can produce a masterpiece every time. I tried to make the foreground look like water. I couldn’t resist putting some dragonflies into my picture. I highlighted the leaves with a silver gel pen and added some glitter to make it magical. Click on the photo for a closer look. I hope you like it, let me know. 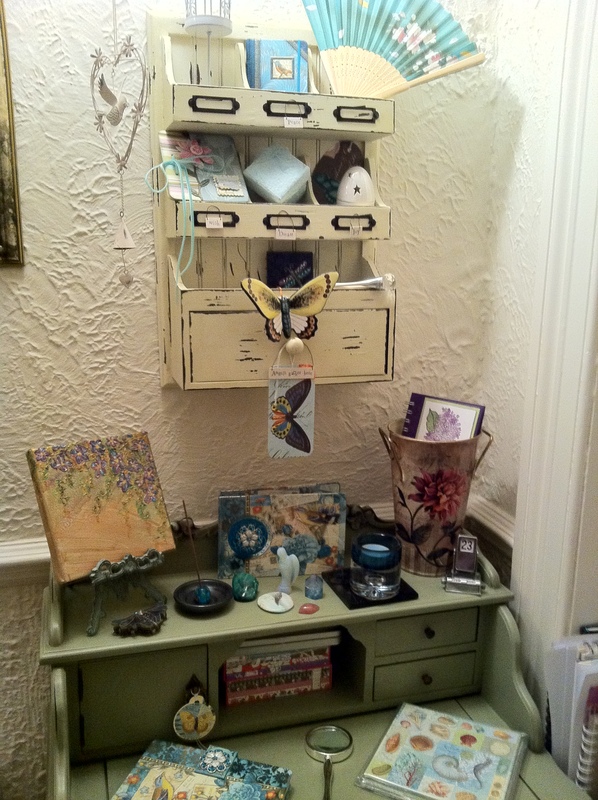 I’m starting to realise that Owls are very popular at the moment. Whenever I post one to my blog I get more views!! Yippee!! Thank you very much for visiting and I hope there is something else you enjoy here too. This little chap is the last of a batch I created to sell at a craft fair and also gave as Christmas presents. 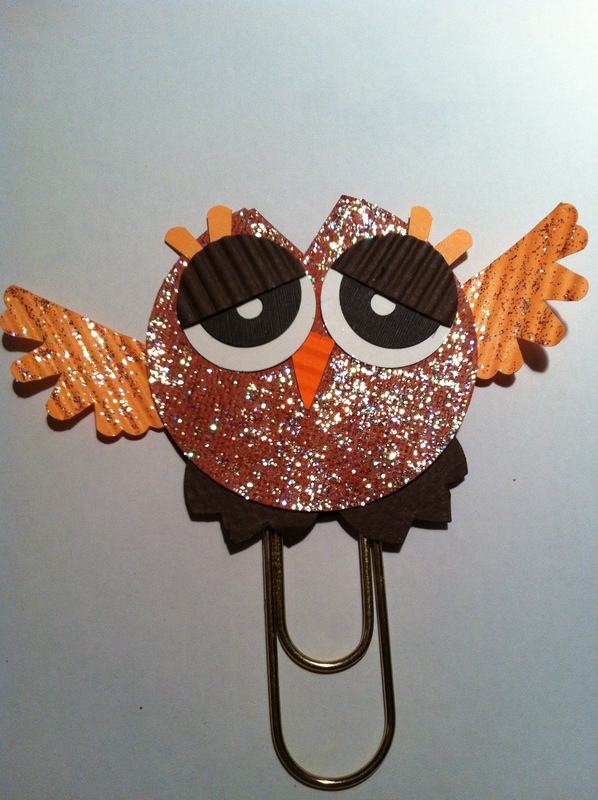 The paperclip is quite big so he’s just over 5 inches or 13 centimetres in total. I used a paper ribbler to give him some texture and covered him in copious amounts of glitter so he would cheer you up on a bad day. Who wouldn’t smile when you see him? I was thinking of making some for our etsy shop, would you like to buy one? Let me know what you think by leaving a comment, I answer every one! 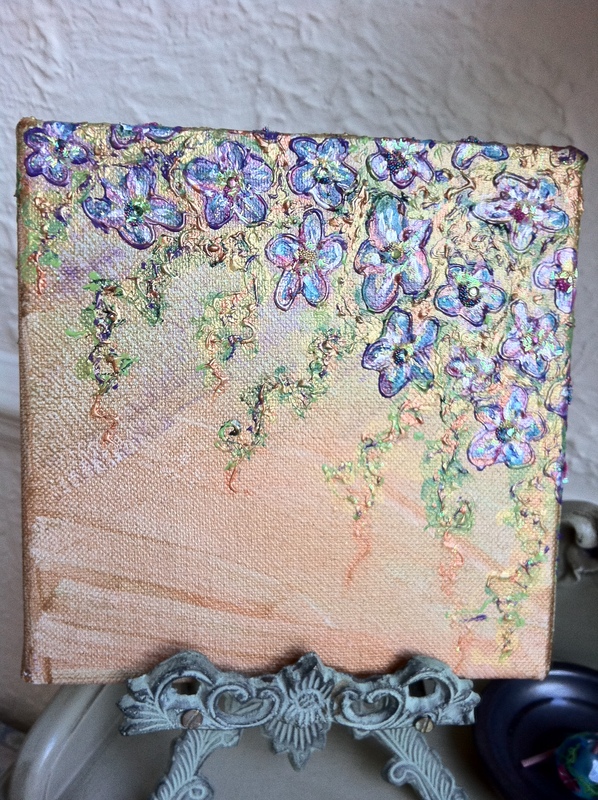 I’ve been titivating this little painting. The centres of the flowers needed encrusting and enhancing. I used micro beads, iridescent jewels and eyelash glitter. I love how it has turned out.